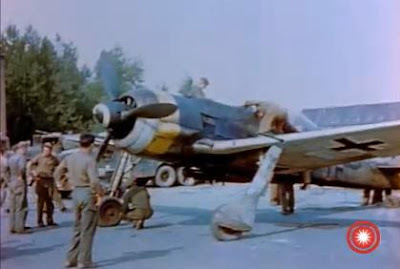 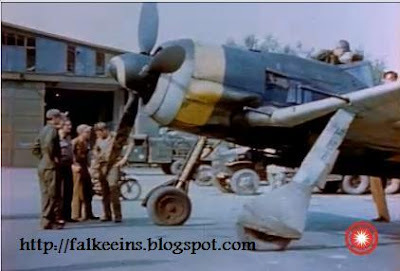 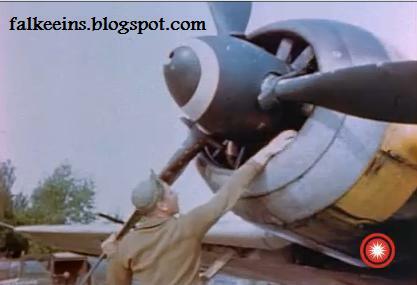 According to their 'About' page Critical Past.com is one of the "largest online collections of historic, royalty-free film footage and still images in the world" - here are some stills from footage in their archive taken at Ansbach or Herzogenaurach of two SG 2 Fw 190s being examined by eager GIs. 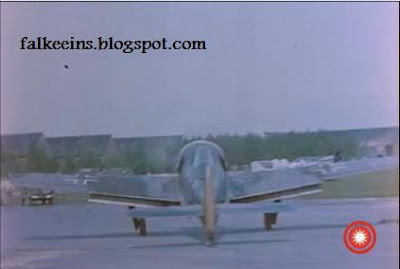 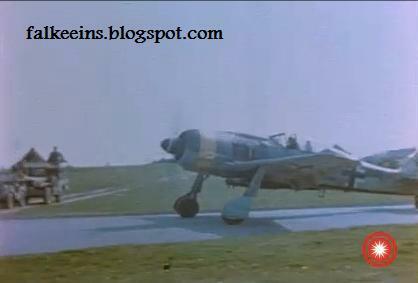 The stills appear to show a FW 190 F-8 (note the underwing racks on 'chevron green 2') and a Fw 190 A-8 (MG151 in outboard wing stations) - "Green 2" is Wnr. 588453 and the machine is finished in Darkgreen (82), Grauviolett (75) and Light blue (76). 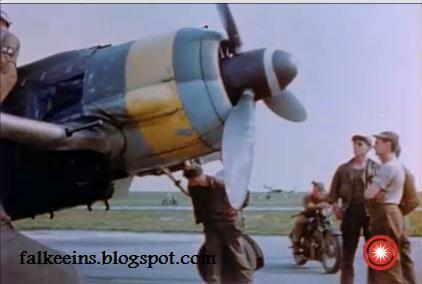 The second machine "yellow 8" appears to be finished in dark green (82) and braunviolett (81). 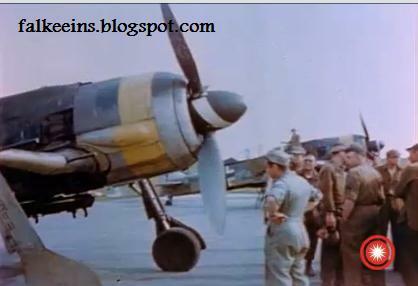 The yellow nose band identifies these aircraft as being from I./SG 2 under Luftflotte 4 command, possibly the only Fw190 units with the yellow nose band. 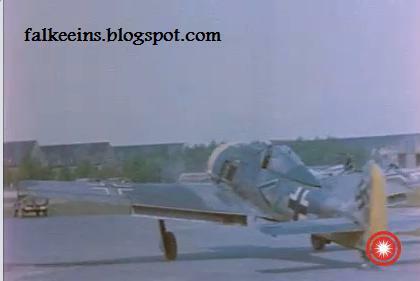 The other Gruppen of SG 2 were under Luftflotte 6 and thus had no yellow nose band. 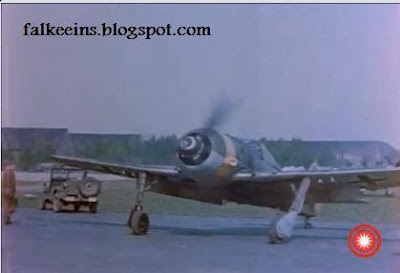 Even so these machines appear to be displaying a II. 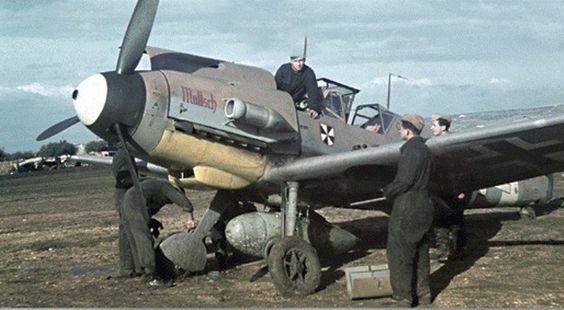 Gruppe bar aft of the fuselage Balkenkreuz.